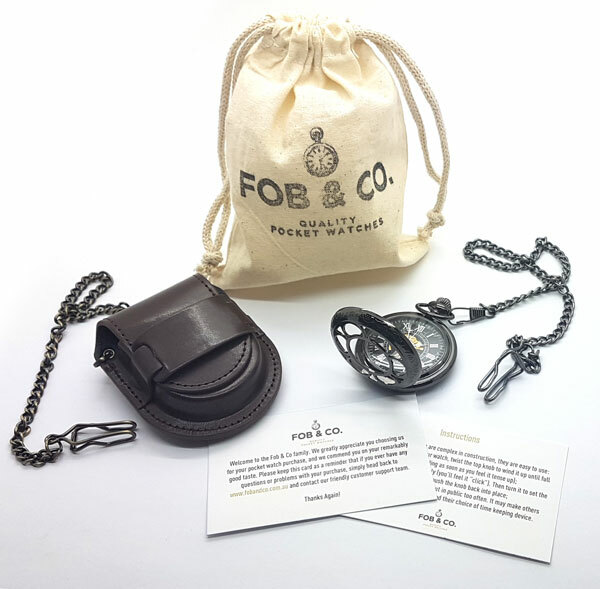 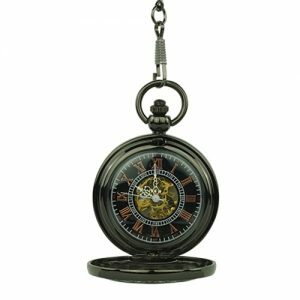 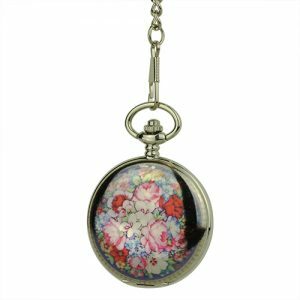 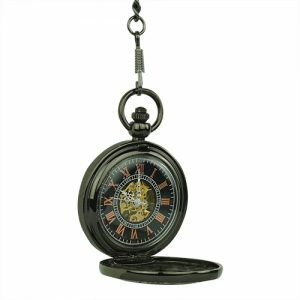 Floral Swirl Rim Black Half Hunter Fob Watch - Fob & Co.
Tell the time in style and lend elegance to your look with this handsome timepiece! 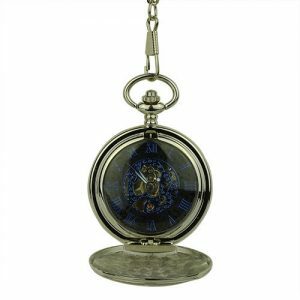 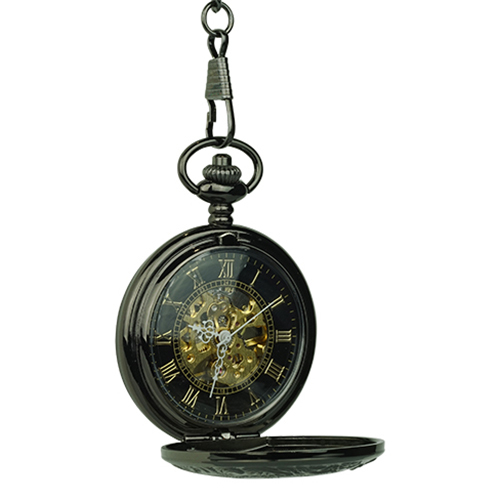 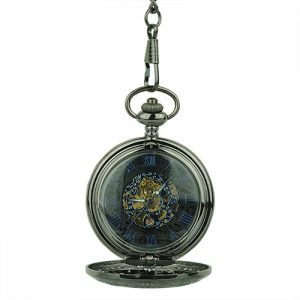 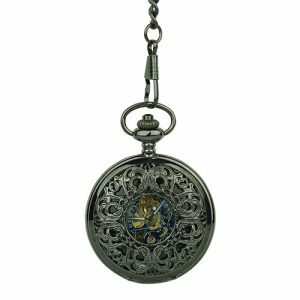 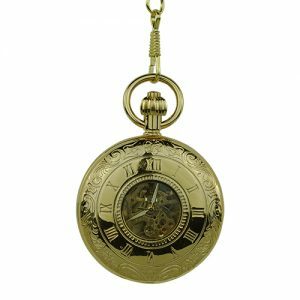 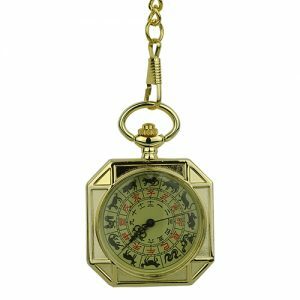 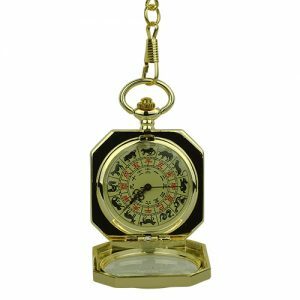 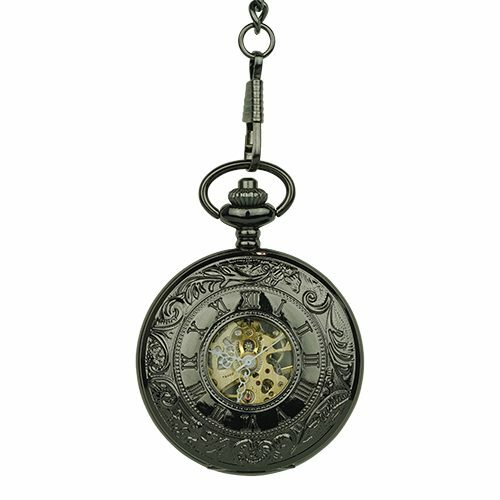 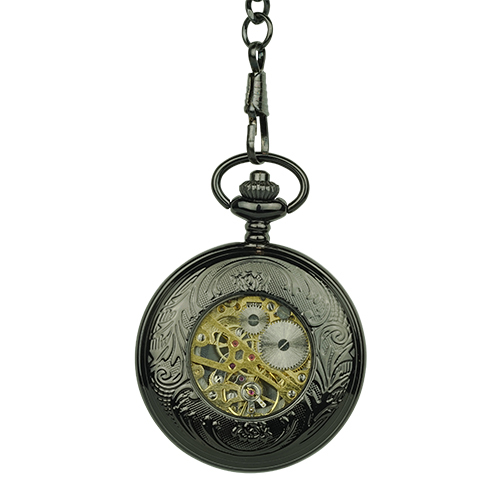 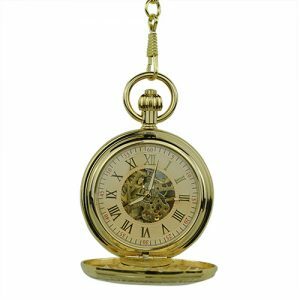 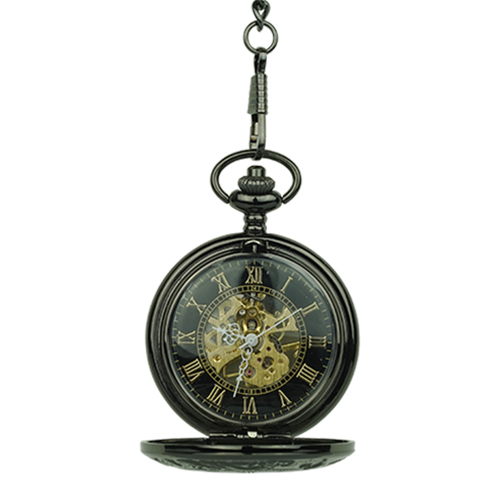 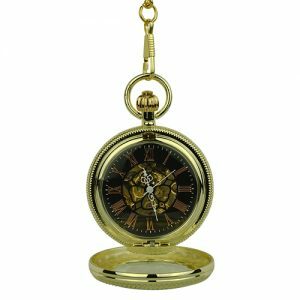 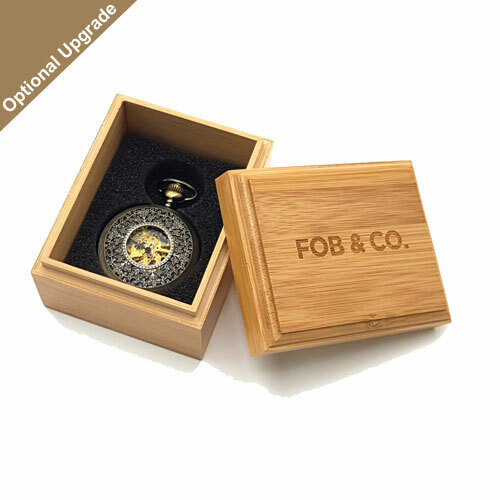 This pocket watch is crafted with a front cover engraved with Roman numerals, Victorian vines, and a see-through window that offers a peek of an intricate gold skeleton. 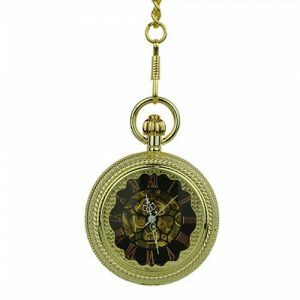 Inside you will find brass-coloured Roman numerals atop a black background designed with Victorian pattern and a back cover with a little window for another glimpse of the inner workings.